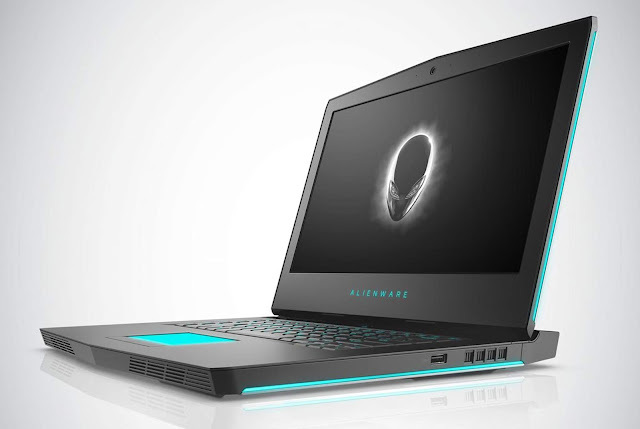 19 July 2018: With a steady rise in gaming enthusiasts in India who are looking for superior quality gaming experience, Dell today announced a new portfolio of gaming hardware comprising of; Alienware 15 & 17, Dell G Series - G3 and G7 and Inspiron 24 5000 All-in-One. To serve a spectrum of users; casual gamers to gaming pros, the new range is an exciting addition to Dell’s existing versatile gaming portfolio. · Power packed performance: Available in 15”, Dell G3 is powered with 8th Gen Intel® processors and provides responsive, powerful performance while powerful discrete graphics up to NVIDIA® GeForce® GTX 1050 TI, that allows users to game with crystal clear detail, and smooth gameplay. · Sleek design: At just 22.7mm, the slimline design is the thinnest of the G Series gaming laptops, making it even easier to game on the go. · Gameplay appears sharp from virtually every angle on the 15" screen with a wide-viewing angle with in-plane switching, and an FHD anti-glare display. · Power packed performance: Dell G7 feature up to 8th Gen Intel® core i9 processors, NVIDIA® GeForce® GTX up to 1060 with Max-Q design technology for clear, detailed gameplay. · Stunning display: Immersing players deeper into the game, Dell G7 offers a premium on-screen experience. Players can witness everything on screen with stunning clarity and superior color richness. Dell G7 comes equipped with anti-glare panels for gaming in a wide range of environments. · Uninterrupted long game sessions: Designed to push heat and noise away from the user, Dell G7 is equipped with a front air intake and rear exhaust vent to keep players cool, and able to game longer. Huge cooling vents and dual-fan cooling technology keep the system cool and running efficiently. · CinemaSound: Equipped with two front-firing speakers with Waves MaxxAudio® Pro, G7 ensures super sound for users. · Easy, single-screw bay door access allows players to service their system or tinker with their components with much ease. · New and improved audio system: Audio output has improved with a new speaker design that includes internal smart-amps used to monitor the audio waveforms enabling the use of the entire thermal margin of the speaker enabling louder sound. · An unmatched experience with the new keyboard: n- key rollover is now supported with an upgraded Alienware TactX keyboard, enabling over 108-key commands for maximum actions per minute. It’s the only keyboard on a laptop with 2.2mm of key travel allowing for rapid response for any keystroke. · The new Alienware 15 and 17 support over 80 quadrillion lighting combinations via 13 unique programmable lighting zones with up to 20 distinct colors. · Power-play for Graphic Intensive Productivity Applications: This Inspiron All-in-One carries a 4GB GDDR5 NVIDIA® GeForce® GTX 1050, which is the most advanced gaming GPU architecture ever created. With super high resolutions, gamers can now experience ‘power-play’ in latest titles of the gaming spectra. · Convenience reloaded with the VESA compatible mount: The VESA compatible mount allows for “putting where you want”, so that using this All-in-One is never a task; be it in the kitchen or the drawing room. There is also a pedestal stand, so that it can be used in the office spaces as well. · Multitasking like a pro: The Inspiron 24 5000 All-in-One gives the power of multitasking like a master. Working on four different applications have never been easier as this All-in-One gets one to snap between them, making work organized like never before. · Advanced microphone processing that reduces background noise for the clarion in web calls and Cortana interaction.